Microsoft announced it is rolling out an improved Outlook.com beta over the coming weeks. Here’s how to get it now if you don’t want to wait. 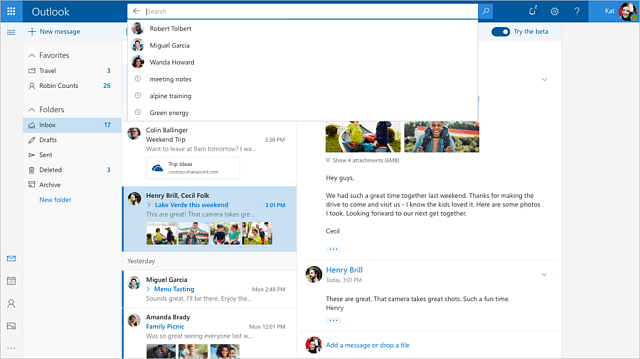 Earlier this week Microsoft announced it is rolling out a new and improved Outlook.com beta. The company promises a faster experience and other new features like improved search. The beta is an opt-in web experience and is rolling out to users over the next several weeks. However, if you want to access it sooner rather than later, here are a couple of tricks to start test driving it early. 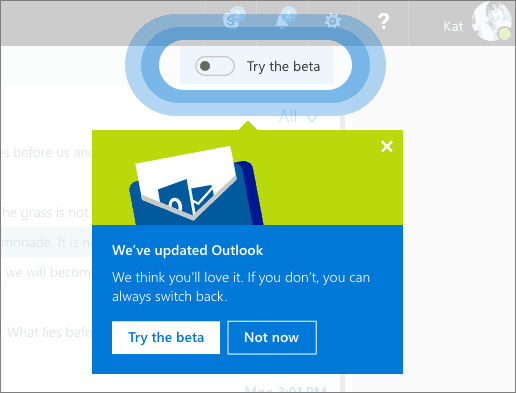 Note that if you have access to the beta already you will see the following screen pop up in the upper-right corner of your inbox when you log into your Outlook.com account on the web. That will allow you to toggle the beta experience on. If you haven’t seen that yet, continue reading for how to get it. To gain access to the beta early, load up Outlook.com in your browser and sign into your account. 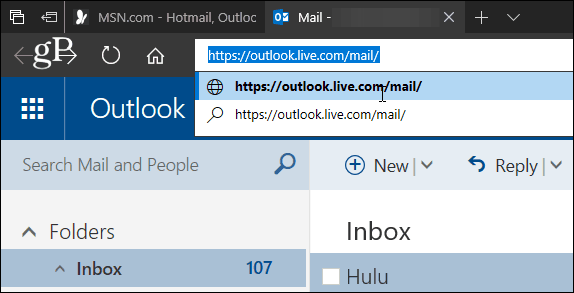 Once it loads, highlight the URL in the address bar and change it from outlook.live.com/owa/ to outlook.live.com/mail/ and hit Enter. Your inbox will reload and you will see a welcome screen pop up that introduces some of the new features. You will also notice the Try the beta toggle button. Important: Once you are set up with the new Outlook.com beta, do not untick the Try the beta toggle button. If you do, it will permanently remove your Microsoft account from the beta and you won’t be able to use this trick again to get it back. If you don’t care about trying the beta early, just wait for it to roll out to your account. Once you get it “officially” you’ll be able to toggle the beta on and off without your account being kicked off. Once you join the Outlook.com beta, Microsoft will prompt you to send in feedback via the Outlook User Voice website. In addition to a faster experience, the company promises a smarter inbox with Quick Suggestions, improved photo experience, modern conversation styles, more personalization with additional emoji icons and GIFs, and more. 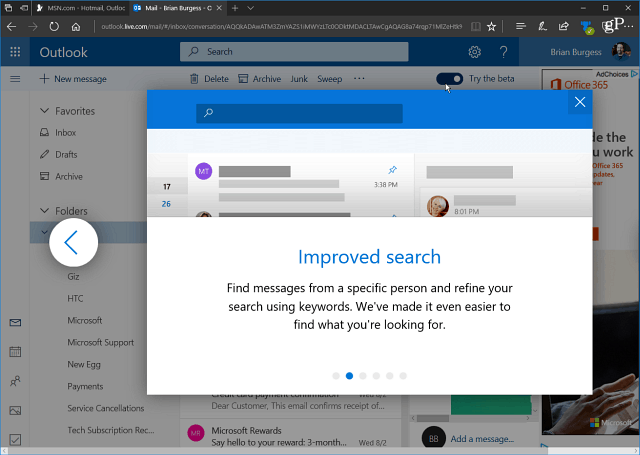 What do you think about the new Outlook.com beta experience? Do you find it to perform faster and enjoy its new features? Leave a comment below and let us know your thoughts. I do not like Outlook.com beta. I don’t care for or need the new features. I only use Outlook to read my Emails.